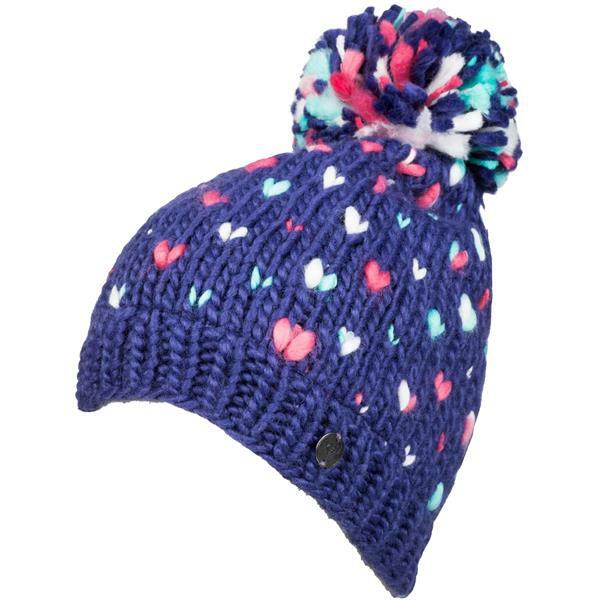 Keep her noggin nice and toasty with the Dena Beanie from Roxy. 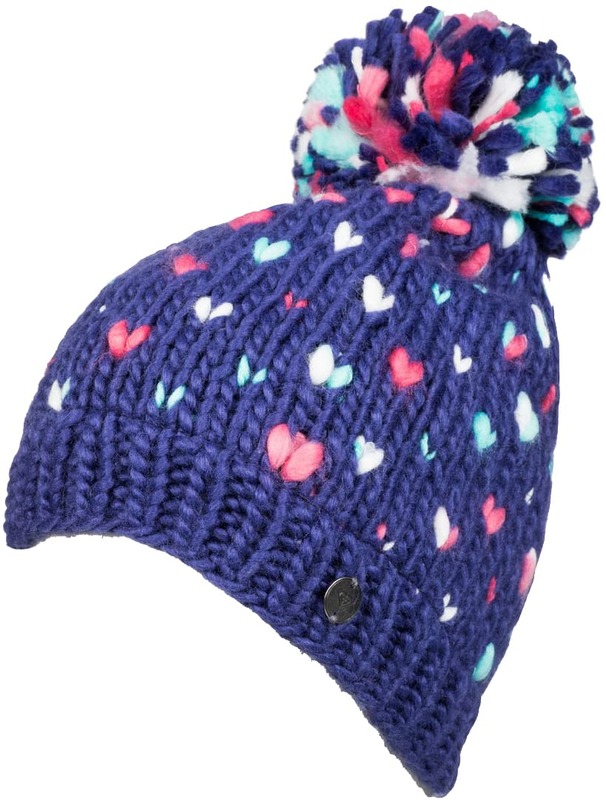 This beanie features a fun heart design in pink, white, and blue with a pom-pom detail on top for a warm look she will love. Made from a durable fabric blend with a fleece-lined band, you can rest easy knowing her head will be warm all winter long.